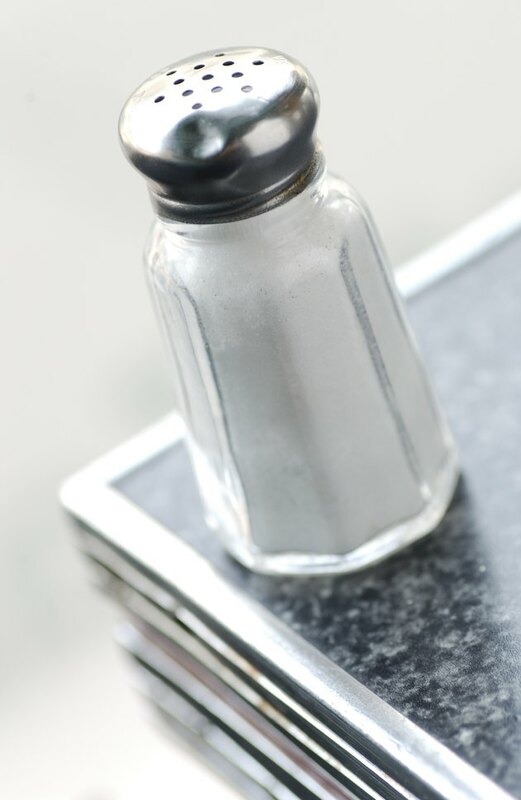 Although experts disagree as to the exact definition and cause of salt sensitivity, the chief symptom of the condition is blood pressure that is unusually sensitive to salt or sodium intake. Certain populations appear to be at a higher risk for salt sensitivity, which can lead to heart and kidney problems, according to the Linus Pauling Institute. Those at greater risk for salt sensitivity include older people, African-Americans and those who already have high blood pressure. While the blood pressure of healthy individuals shows only slight alterations in response to changes in sodium intake, the changes in salt-sensitive people can be dramatic. However, the lack of studies with consistent parameters and experimental conditions has contributed to the continuing debate over salt sensitivity and the lack of reproducible results. Symptoms of salt sensitivity may include microalbuminuria, or the presence of protein in the urine, as well as edema, or fluid retention, and swelling of the left ventricle of the heart, which must work harder to pump blood due to blood pressure abnormalities, according to the “Journal of Human Hypertension.” There may be a sluggish response by the kidneys to changes in salt intake. The level of renin, an enzyme produced by the kidneys when dietary salt intake drops, may be abnormally low in blood tests. The daily adequate-intake level of salt, established by the Food and Nutrition Board of the Institute of Medicine, is 3,300 to 3,800 mg, which contains 1,300 to 1,500 mg of sodium. The upper limit for nonsensitive adults is about 5,800 mg of salt, or 2,300 mg of sodium. This is no more than a teaspoon of salt. If you are aged 50 or older, already hypertensive or African-American, take care to control your salt intake. The adequate-intake and upper limits include salt that you add to food, as well as salt that is naturally present or added during processing. More than 75 percent of the salt in the average American diet comes from processed foods. Most Americans get more than enough salt in their diets. The average salt intake for adults ranges from 5,800 to 11,800 mg a day, not including salt that they add to their food, according to the Linus Pauling Institute.